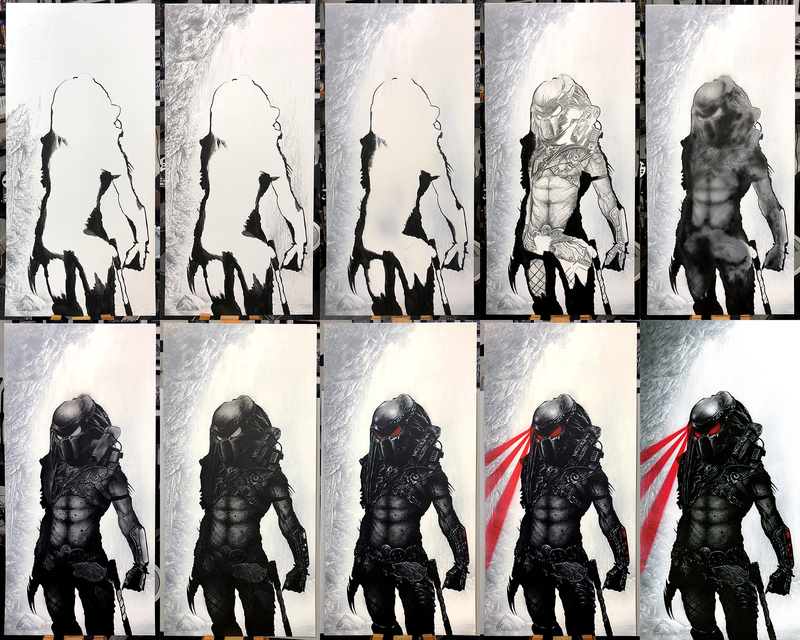 Progress sequence of ‘If It Bleeds, We Can Kill It’. Medium: Acrylic paints on art board. Painted portrait done for ‘For The Love Of Sci-Fi’ and the cast of Predator.